Johnson & Johnson and its Ethicon unit have been named in yet another transvaginal mesh lawsuit over complications allegedly caused by one of its transvaginal mesh products. In a complaint filed by Gilman Law LLP, a national law firm representing individuals with transvaginal mesh injuries, in New Jersey federal court, a Missouri woman alleges that the companies’ Gynecare Gynemesh transvaginal mesh device was defective and resulted in painful complications that forced her to undergo two additional surgeries to have the mesh removed. This entry was posted in Defective Product Lawsuits, Medical Device Lawsuits and tagged mesh attorney, mesh lawsuit, mesh lawyer, transvaginal mesh, transvaginal mesh attorney, transvaginal mesh claim, transvaginal mesh injuries, transvaginal mesh law firm, transvaginal mesh lawyer, transvaginal mesh settlement on August 1, 2012 by Gilman Law. 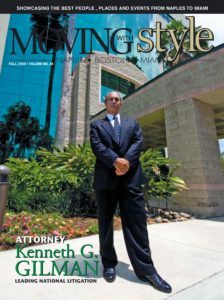 Gilman Law LLP, a national law firm representing individuals with DePuy ASR hip replacements, reports that on June 11, 2012, the Honorable David A. Katz, who is overseeing In re: DePuy Orthopaedics, Inc. ASR Hip Implant Products Liability Litigation (“MDL No. 2197”), currently underway in the U.S. District Court for the Northern District of Ohio, issued an order scheduling the next status conference in the DePuy ASR MDL for July 25, 2012. A DePuy ASR Lawsuit status conference was previously held on June 5, 2012. Counsel updated the Judge on the discovery process, the production of documents, the status of depositions, and the coordination between the Federal DePuy ASR Hip Lawsuits and State DePuy ASR Hip Lawsuits. 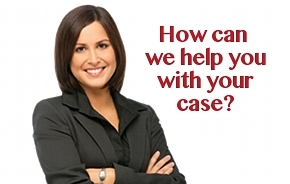 The DePuy ASR Hip Attorneys are actively working to schedule bellwether trials in the DePuy ASR Hip Implant Lawsuit. The first federal bellwether trial is expected to take place in Spring 2013. While the first state court trial is scheduled to take place in Nevada in December 2012. Another state court trial set for January 2013 in Maryland. In addition to actively filing DePuy hip replacement lawsuits in the DePuy ASR MDL, the hip lawyers at Gilman Law LLP are also filing lawsuits on behalf of individuals who have been implanted with certain metal-on-metal DePuy Pinnacle hip replacements, in In re: DePuy Orthopaedics, Inc. Pinnacle Hip Implant Products Liability Litigation (“MDL No. 2244”). The firm is also investigating cases concerning Wright Medical Technology, Inc. metal hip implant Lawsuits involving the Wright Conserve hip replacements. These Wright metal hip implant lawsuits were recently consolidated in In re: Wright Medical Technology, Inc., Conserve Hip Implant Products Liability Litigation (“MDL No. 2409”). Gilman Law LLP is a nationally recognized law firm representing individuals in complex injury cases in areas such as dangerous drugs, defective medical devices, DePuy Hip Implants, and other defective or dangerous consumer products. This entry was posted in Medical Device Lawsuits and tagged DePuy ASR Hip Implant, DePuy ASR Hip Implant MDL, DePuy Hip Implant Lawsuit, DePuy Hip Implant Lawyer, DePuy Lawsuit on June 13, 2012 by Gilman Law.